I really want the Win10 Dark Mode theme update, but I cannot seem to get build 1809 installed. My machine is a Dell Precision T1700 running Windows 10 Enterprise. Windows Update says all updates are installed, yet it's still on build 1803. 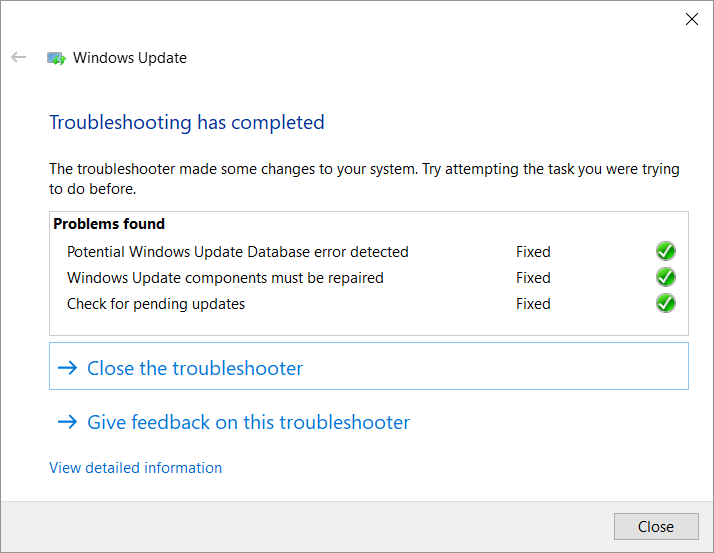 I have run Windows Update Assistant twice now - nothing happens after the reboot. Is there a KB I can download and manually install? How can I fix this? UPDATE: I have reset all local Group Policy settings to default and reattempted the update, but there's no change. It tries to install 1809, reboots twice then fails and rolls back the changes. Any help greatly appreciated. Update 3: I use this machine as part of my home lab, running VMware Workstation is its primary use. Apparently there's an issue with Win10 1809 that breaks Intel VT-d (or causes an incompatibility, rather) which 100% a show-stopper for me. So apparently I am stuck with Win10 1803 for the foreseeable future, or until MS gets its act together and fixes this. I was also mistaken here, apologies. This is what happens with I mount the Win10 Ent. 1809 ISO and run setup. Your screenshot indicates you are attempting to install a different edition of Windows then you currently have installed. This means if you have Windows 10 Enterprise installed, you must use a Windows 10 Enterprise 1809 ISO, and it cannot be the trial ISO. Is there a KB I can download and manually install? Apparently there's an issue with Win10 1809 that breaks Intel VT-d (or causes an incompatibility, rather) which 100% a show-stopper for me. VT-d isn’t required to use VMWare Workstation, which is the reason, you would need VT-x to be enabled. Even if you actually need it enabled, all you would need to do is disable it, until the upgrade to Windows 10 1809 is complete. 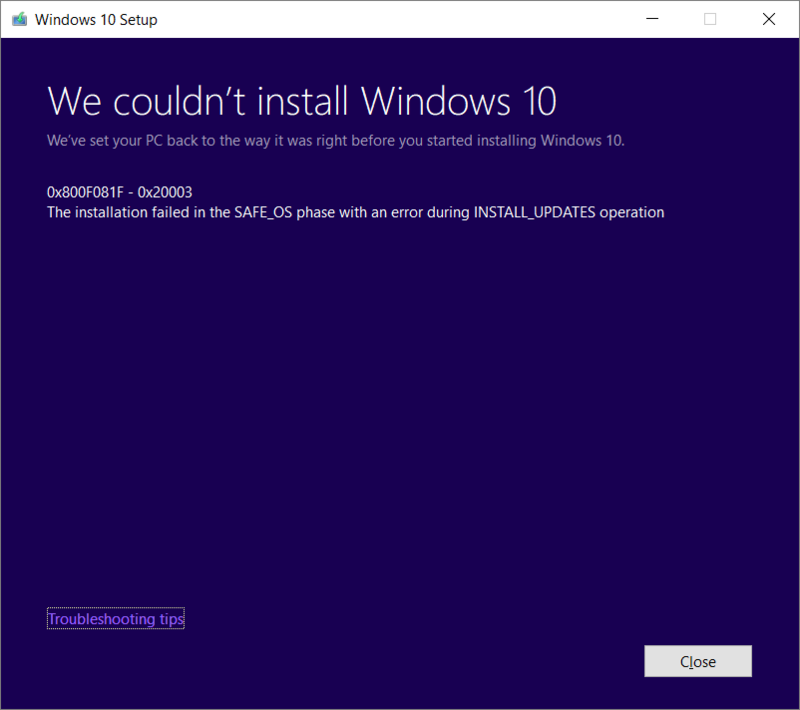 You need to download the correct ISO, for the edition of Windows 10, you currently have installed. Once you have an ISO, mount it within Windows, and launch the installer from within Windows. Here are a bunch of sources for that ISO: Where can I get a clean ISO of the Windows 10 Creators Update (Build 15063), FCU (Build 16299.15), April 2018 Update (Build 17134.1)? I was able to find a single source, that indicated this might be true, but whoever submitted it wasn’t able to communicate very well. It really was complete nonsense, I can absolutely confirm that, Windows 10 Version 1809 does NOT have, an issue with VT-d. This single source, isn’t even worth quoting, because it made absolutely no sense. As for your latest error. it’s cause by Developer Mode, you need to temporarily disable it. The error 0x800F081F-0x20003 in Windows 10 October 2018 update, appears in systems with the "Developer Mode" enabled. Go to Settings image -> Update and Security. Choose For Developers at the left pane and then check the Microsoft Store apps option on the right pane to disable the Developer Mode. Go to Settings image -> Apps. Click the Windows Developer Mode and click Uninstall. Not the answer you're looking for? Browse other questions tagged windows-update windows-10-v1809 or ask your own question. How can I tell why my PC hasn't upgraded to Windows 10 build 1809?